Lisa (Mandy Moore) and Kate (Claire Holt) are sisters on holiday in Mexico. Lisa's boyfriend has broken up with her because "she made the relationship boring". Kate attempts to cheer Lisa up by taking her out drinking and dancing at 1:00 am. 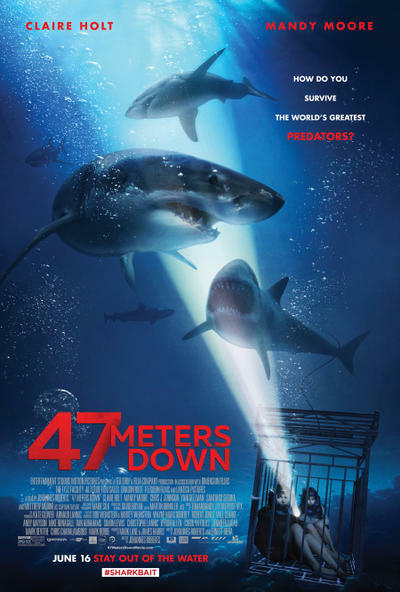 The sisters meet a pair of local men at a bar and the two men convince them to go out with them on a boat to watch sharks from a diving cage. Lisa is hesitant but Kate persuades her by saying it would show Lisa's boyfriend that she isn't boring and make him regret breaking up with her. The sisters arrive to the boat dock where they were told to meet the locals. At first sight, the boat is lackluster and Lisa is immediately wary of it and its owner, Captain Taylor. Upon meeting the girls, the captain questions if the pair are experienced divers. Kate has been certified though Lisa knows nothing and has never been, so they lie and say they are both experienced. The dive cage is old and rusted, held up by thin chains and an old crane, adding further to Lisa's apprehensions. Read more on Wikipedia.